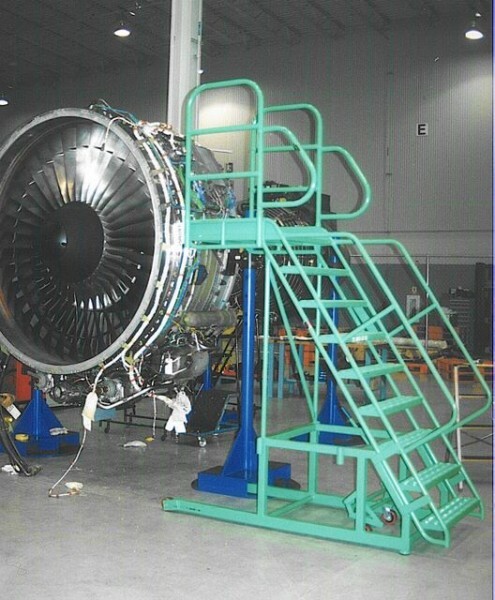 Ladder Industries Aircraft Engine Access ladders and platforms provide maintenance personnel with safer and more effective access to the aircraft engines than conventional ladders. 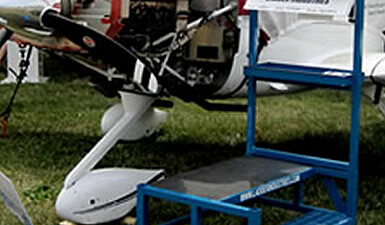 The advantage with these aviation ladders is found within the unique cantilever construction. 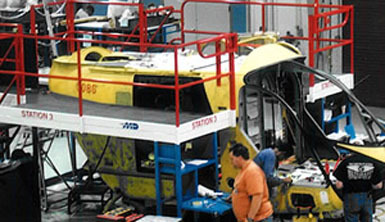 The design of our Aircraft Access ladders allow personnel to get within arm’s reach of their projects without having to rest the ladder against the aircraft's surface. 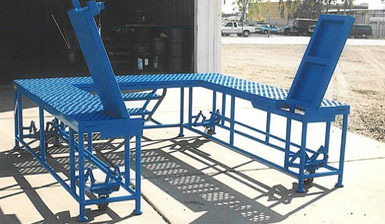 Tool trays are included with all Aircraft Access ladders, so that workers do not have to constantly go up and down the ladder. 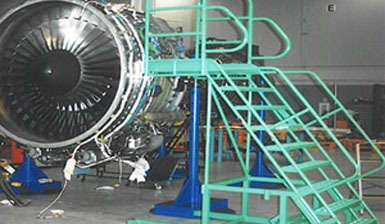 For your maintenance application, the sky is the limit. 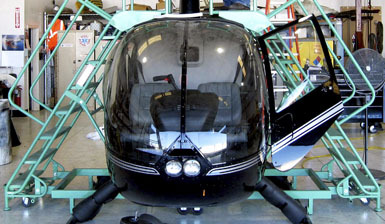 Wildeck Access specialists will work with you to find the best fit for your specific aircraft model, as well as the project at hand.